If you have been arrested in New Hampshire for Drunk Driving (otherwise known as “DWI”), the police officer may have asked you to submit to a Preliminary Breath Test after performing Field Sobriety Tests. 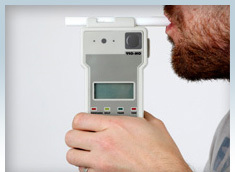 The Preliminary Breath Test (PBT) is a hand-held, battery operated device used by police in New Hampshire to preliminarily determine your blood alcohol content. The PBT device used by most law enforcement officers is the S-D5, manufactured by CMI, Inc., the same entity that manufactures the Intoxilyzer 5000EN. The results of your PBT may be introduced into evidence in Court. However, you are under no obligation to submit to a PBT, if asked by a police officer. And, the fact that you refused a PBT may not be admissible in Court except for determining whether the police officer had probable cause for your arrest. Most importantly, the police officer that requests you submit to a PBT must advise you that failing to take the test, or taking the test, shall not be construed to prevent or require a subsequent test. The PBT is also used by New Hampshire police officers when making arrests at under-aged drinking parties. Unfortunately, many people who submit to the PBT are unaware of the significant limitations of this hand-held device. Like any “AA” battery operated remote control, toy, or gadget, the PBT’s performance can be unreliable due to low battery power. And, residual mouth alcohol, cigarette or cigar smoke, and temperature all affect the accuracy and reliability of the PBT. If you have been arrested and charged with DWI in New Hampshire and have submitted to a PBT, do not hesitate to call the experienced New Hampshire DWI defense lawyers at Tenn And Tenn, P.A. Our drunk driving lawyers are familiar with the operation and limitations of the Preliminary Breath Testing Device in New Hampshire. Call today for a free telephone consultation at 1-888-511-1010 to discuss your New Hampshire DWI case.